Christmas Gifts: Giving tools not toys. Are your children’s bedrooms cluttered with plastic junky toys? Do you wrack your brains each Christmas trying to come up with gifts that are well made, will last and won’t add to that pile of clutter that they really don’t need? ‘Tools not toys’ is an excellent motto that we have tried to implement in our family. So what are tools? In the words of Jill at the Sonlight Blog, “Tools will encourage imagination, develop large and small muscles, and should get the child outside daily. Tools will stand the test of time, can usually be passed down from child to child in a family, and have a lot of play value.” Many traditional toys fall into this category as well as real tools such as those that you would find in a toolbox. Jill has an extensive list of tools for children at the Sonlight blog that is well worth a look. Our children do have and receive toys that are definitely simply for entertainment value, but we choose to put our money into the more long-lasting, useful and educational toys that sit more in the tools category. One specific idea we have implemented in the past is to give the boys toolboxes filled with tools as gifts for Christmas or birthdays and add items to these collections throughout the years. 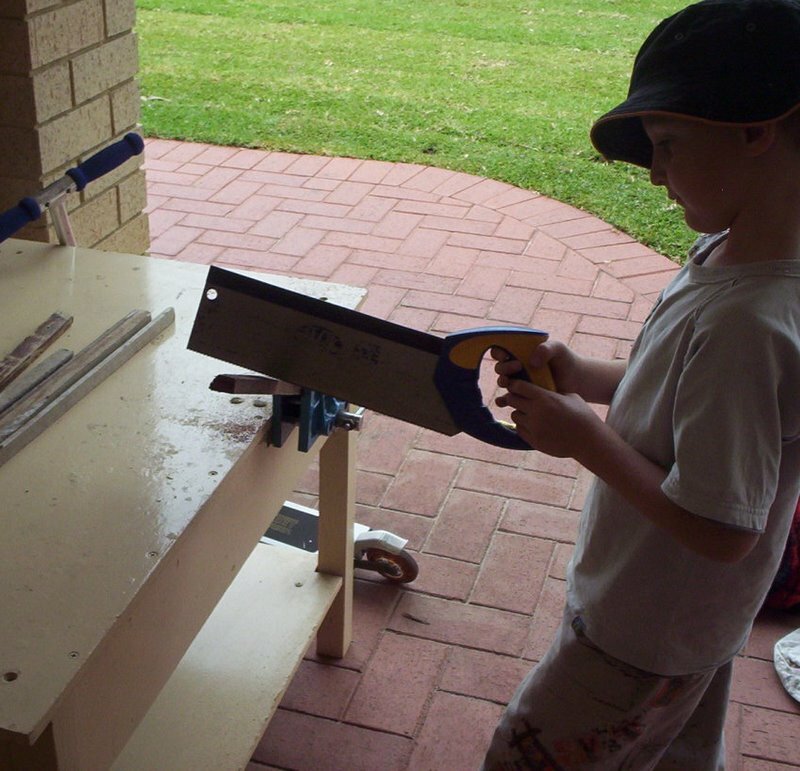 One aim of the toolbox idea is that the boys will learn to use the tools as they work alongside their Dad’s to tackle household maintenance and projects. We hope they will eventually leave home well kitted out to be able to attack the handyman tasks around their own houses, both in tools and skills learnt over the years. Other tools we give are sporting equipment, handiwork and craft sets and equipment, imaginative toys, books, wooden toys etc. Again, check out Jill’s quite extensive ideas list for inspiration.